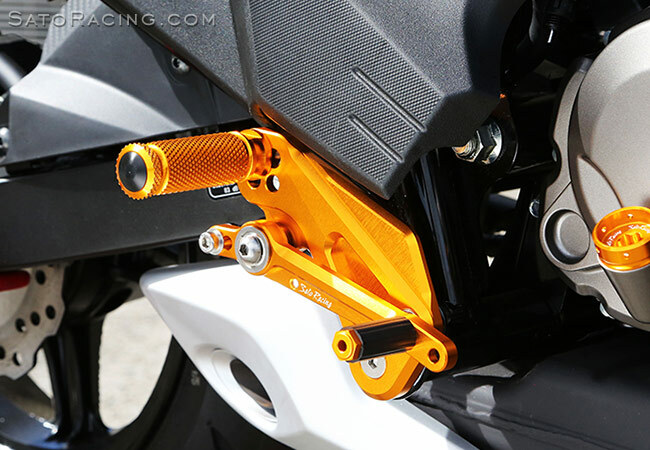 SATO RACING 'Race Concept' Rear Sets for Kawasaki Z125 Pro are CNC-machined from high grade billet aluminum and anodized in a vivid Gold finish. 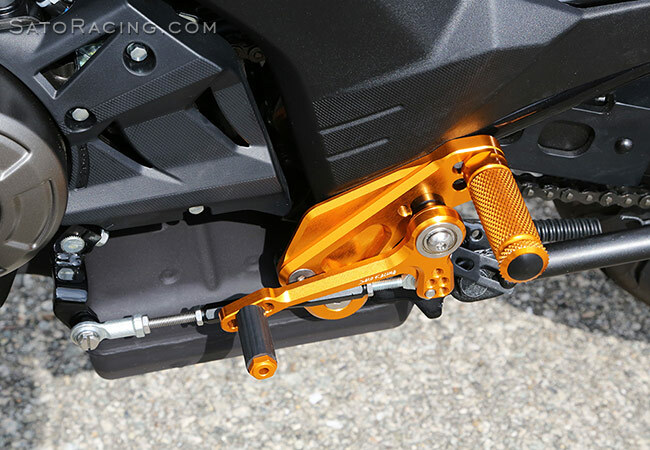 These racing Rear Sets feature 4 adjustable peg positions that bring your feet significantly rearward compared to the stock foot rests, for a less upright, more aggressive riding position well-suited to the track. 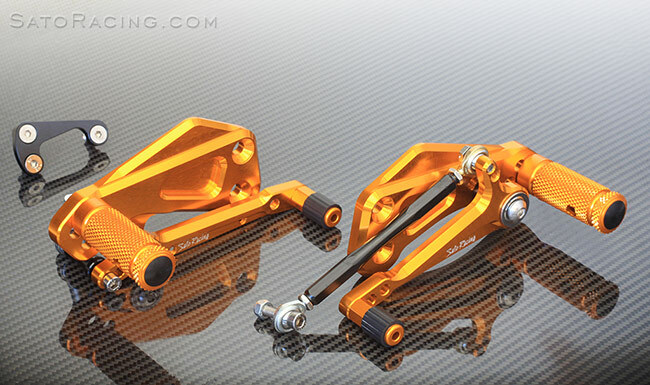 2 versions of these Rear Sets are available - Stock Shift Rear Sets, which has a stock shifting pattern, and Reverse Shift Rear Sets, which has a dedicated GP-style reverse shift pattern. 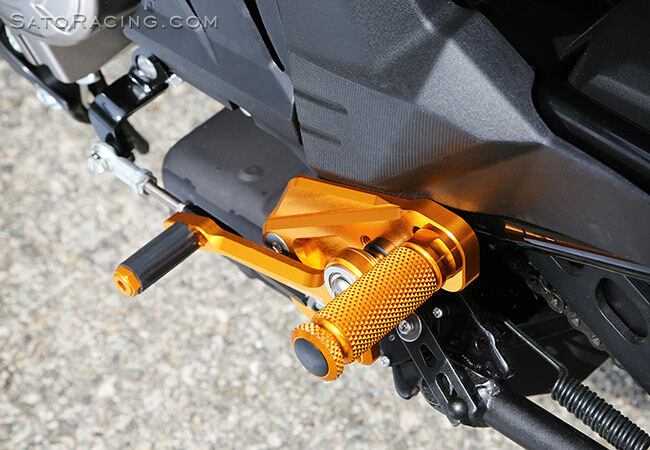 NOTE: Not recommended for street use - Not brake light switch-compatible. 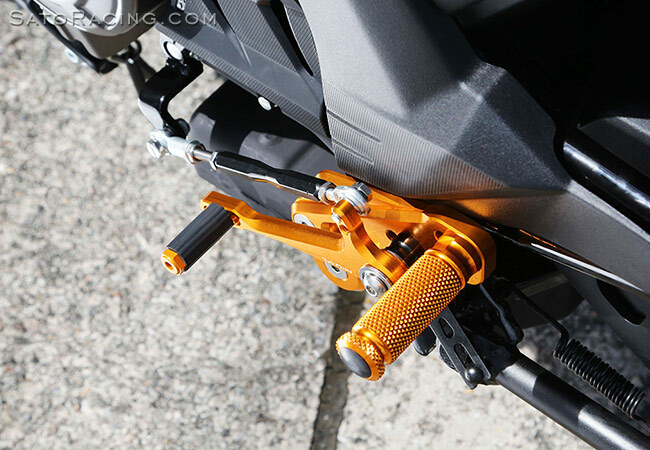 (For more street-friendly Rear Sets that are compatible with the stock rear brake light switch, see our standard version Rear Sets for Z125 Pro). 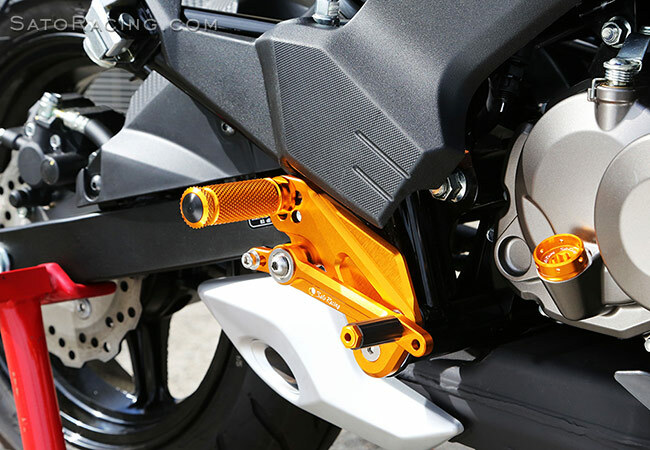 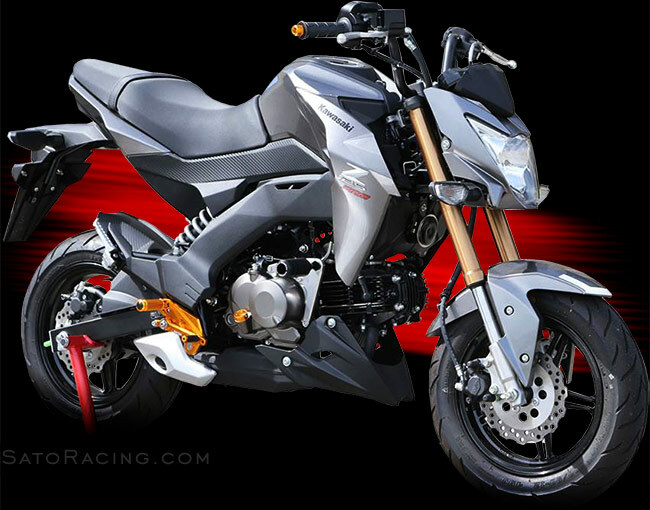 The clean, angular design of our Rear Sets fits well with the styling of the Z125 Pro. 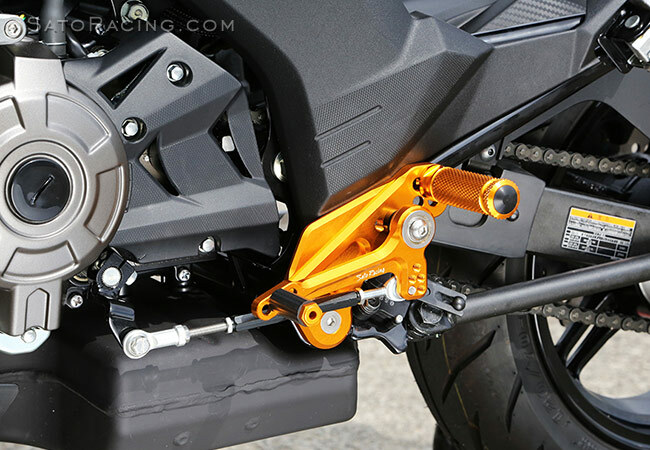 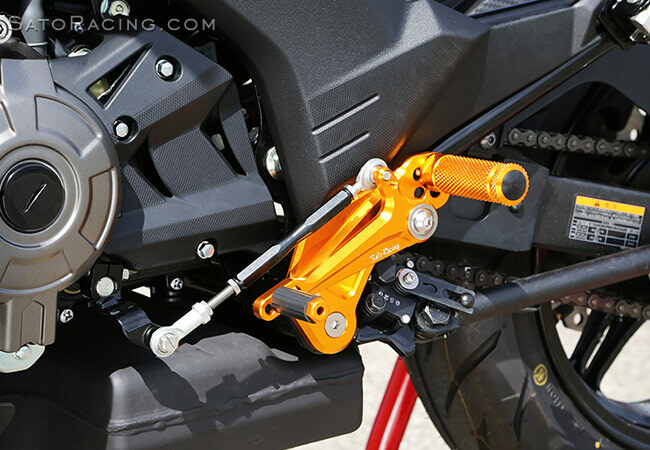 NOTE: Although full-size Foot Pegs and Pedal Tips are shown in these photos, the Rear Sets kit now includes slightly lower-profile 'Short'-style Foot Pegs and Pedal Tips that are more ideally suited to the bike's proportions. 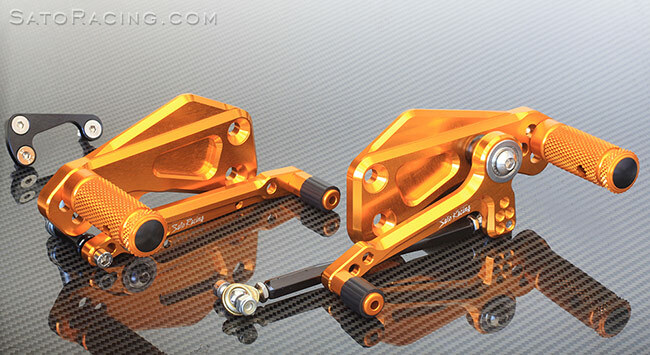 (See photo of the Rear Sets kit below).